Hiya! 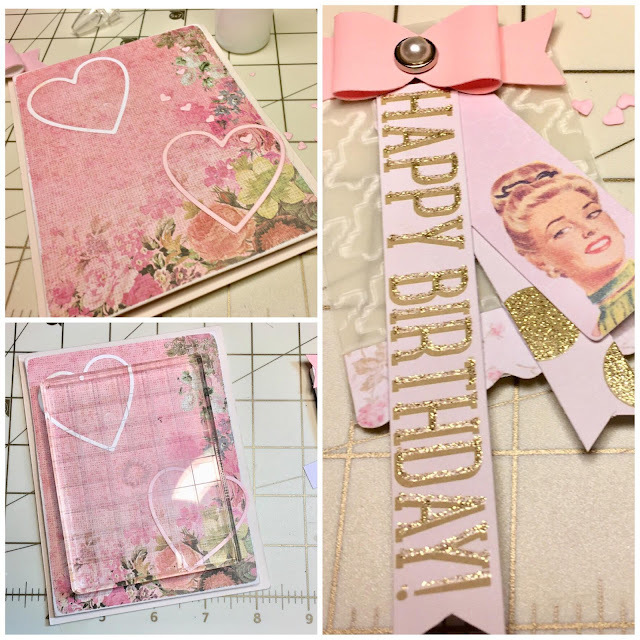 Desiree' here to share my latest project for the Craftwell blog! 💗 I of course hit my craft stash AGAIN and decided to put some of my beloved horde to good use. From the Teresa Collins collection, by Craftwell, the Preppy Hounds Tooth, A6 embossing folder. 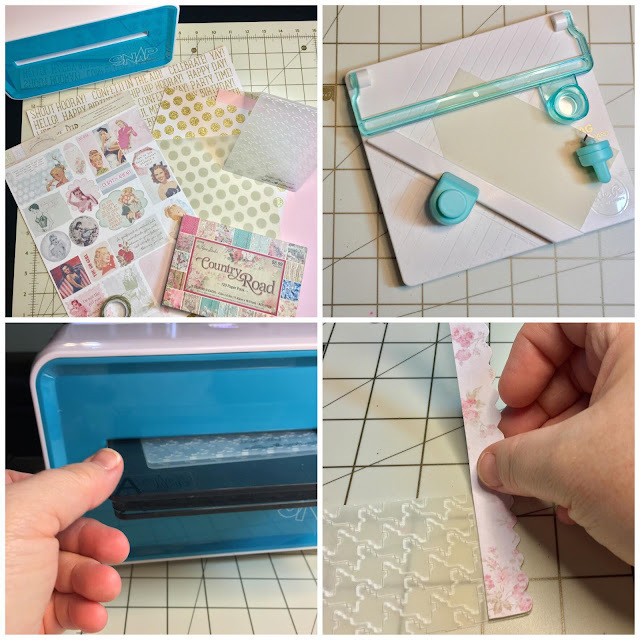 The papers used are from the DCWV Confetti stack, the Country Road stack by the Paper Studio. Melissa Frances, from the C'est La Vie, collection! Whew! Now on to the project details! The first step was to figure out what I was going to use. As always. 😉 I decided I needed a tag, so I made one using the tag punch board. 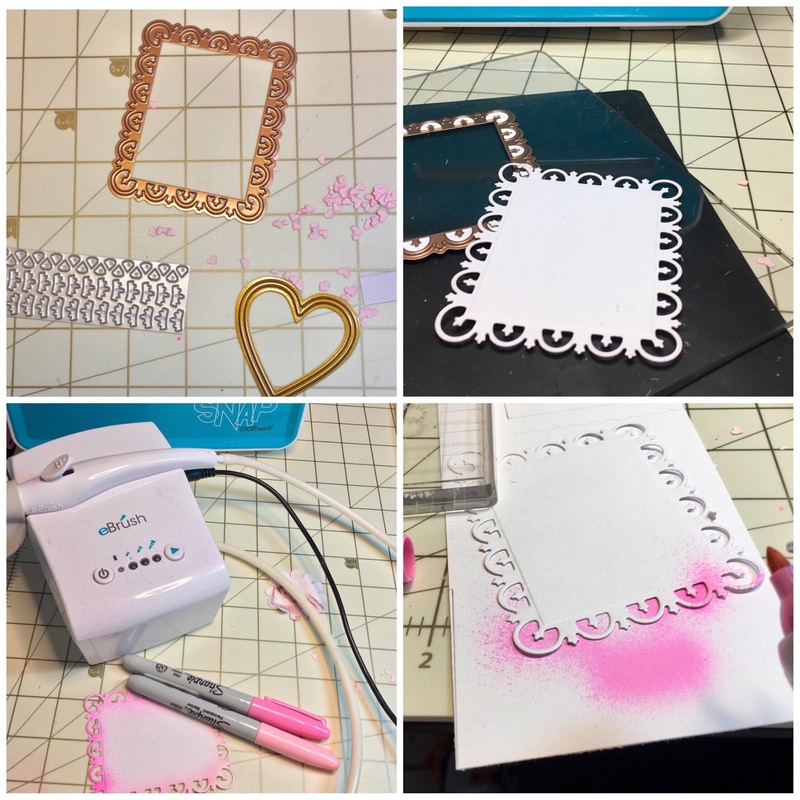 Next it was embossing time! 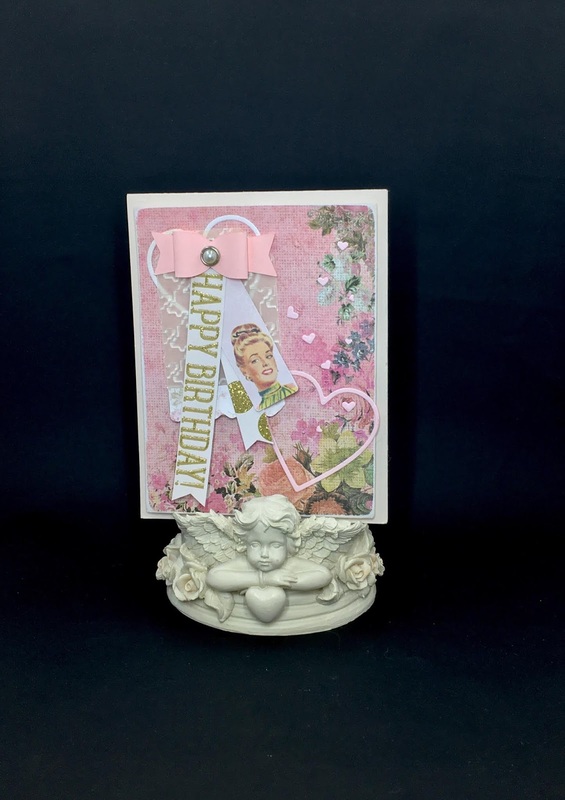 My darling Snap machine made it delightfully easy to get a great impression! I decided not to emboss the bottom of the tag. I wanted to leave room for the super-cute scalloped edge sticker I was going to use. Die cutting needed to be done next. I cut the frame die out for the sentiment inside of the card. color around the edges of the die cut. Love that gradient effect so much! My card base is 5.50x4.25 inches, I cut my patterned paper for the card front to 5x4 inches. I distressed the edges, adhered some of the dies cuts and popped it up on some pop dots for dimension. 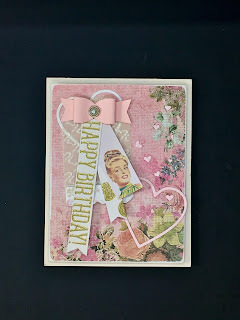 I cut *Happy Birthday* from one of the confetti stack papers, cut another strip from the gold polka dot paper in the stack. Cut out a dove-tail shape at the bottom of them both. I stacked them together and added one of the pretty card stock stickers. I staggered them and then adhered them all together. I took a bow I had made a while ago and decided to place them on my little embossed tag. 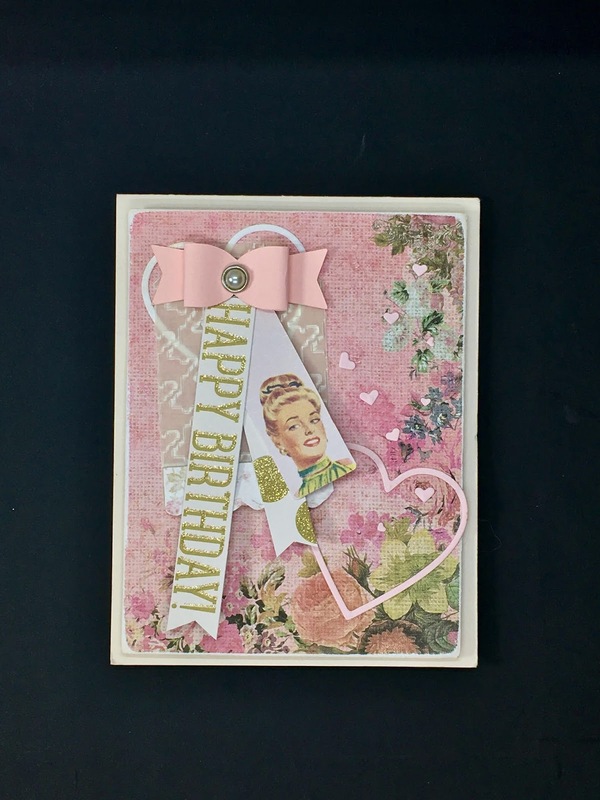 I think it turned out to be such a cute embellishment! I wanted a clean line inside of the frame for the sentiment. I decided to cut out a rectangle to place inside the frame. After that I stamped the *I love you* sentiment onto the white rectangle. I glued some little clusters around the sentiment. 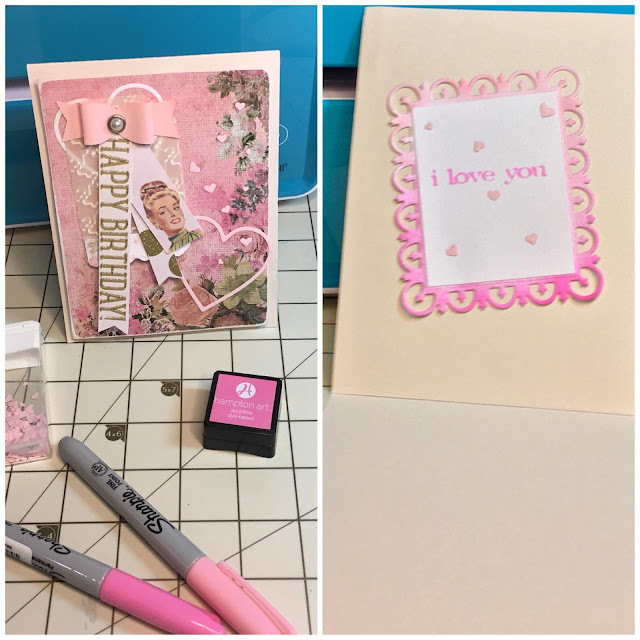 I also like to write a personal message in every card I give to a loved one. So I placed the sentiment up on the top of panel of the card, when it is opened. That way there is plenty of space to let a special person know how much they mean to me! Once everything was dry, it was time to completely assemble my card! Here it is. All assembled, so girly, and so pink! A bit vintage-esque. I LOVE how this turned out! I sincerely hope you do too! Feel free to leave me a comment, I love getting those! I hope that you were inspired by today's project, always do. I also hope you will come visit again soon! Until my next post sending you warm wishes and crafty love always! Beautiful work Des! As always! Love seeing what you are up to. Just saw this! Thank you both so much! Love to you both! !